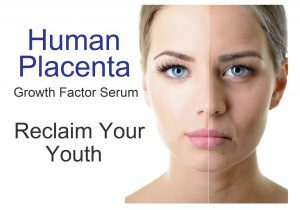 Bio-Placenta Growth Factor Serum is a miracle in a bottle! These exclusive peptides have the ability to trigger the skin to function as it did in its youth! The placenta is undoubtedly one of the most amazing capabilities of the human body. This self-made organ produces cell-signaling growth factors necessary for new human life. These same placental growth factors have been synthetically recreated to reverse the aging process and help repair existing damage. Bio-Placenta Growth Factor Serum also reduces the appearance of expression wrinkles since it also contains 2 neuro-peptides proven to extend the effects of Botox injections. This patented combination delivers unparalleled results to turn back the hands of time, and transform the skin back to its youthful state!